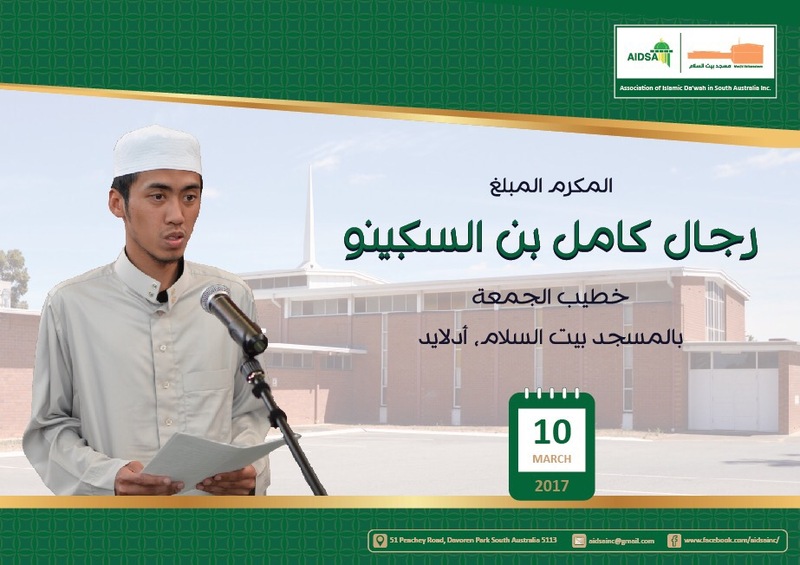 Khotib Jumat 10/3/2017 – AIDSA Inc.
Al Mukarrom Al Muballigh Rizal Kamil bin Sugino. Previous Go forth in the cause of Alloh. Next Falaa Taghurronnakum al-hayatu ad-dunya.